Can the Pixi out-do the Pre with less tech? The Palm Pixi Plus – the Pre's dinky sidekick – makes its UK debut and is the latest smartphone to offer a scaled down, affordable alternative to a premium handset. 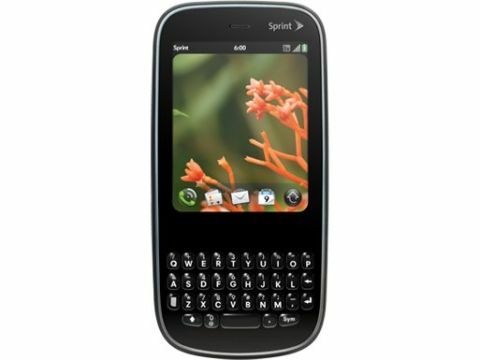 The new and improved Pixi follows the Sony Ericsson Xperia X10 and HTC HD Mini into the arena, all of which boast most of the main features without the cumbersome size and cost. Can this be the handset to help web OS reach the masses? The original Pixi was a US-only release, so we'll treat this as a brand new handset. Not that we have to go into too much detail, the improvements can be summed up in one word: Wi-Fi. The Pixi earns its Plus by adding 802.11b/g Wi-Fi, but aside from that it's exactly the same handset. However, the important thing is that the web OS operating system we loved on the Palm Pre remains in place, which makes the phone far more than just a poor man's version of the Pre, but a credible second-tier player for those seeking to perhaps get on the smartphone ladder for the first time. Boasting a candybar form factor, as opposed to the Pre Plus' curvy-slidy number, the Pixi Plus has has a QWERTY keyboard even smaller than the one that has given us problems on the Pre. The screen is a good bit smaller, a 2.63-inch capacitive multitouch screen, compared to the Pre's 3.1-inches, and that sits above the touch-sensitive gesture area integral to the infinite usability of the phone's operating system. The phone has a very natural feel in the hand. It's super-thin at just 10.8mm, and extremely light, too, at 93 grams. It has a rubberised casing on the back, which makes the slight-and-light handset easier to grip. There's also a 2-megapixel camera (scaled down from 3-megapixel snapper on the Pre Plus) with an LED flash nestled handily above, and two speakers in the top corners of the casing. The right-hand edge of the handset houses the volume controls and the lock switch while the top has the power switch and 3.5mm jack, all of which are rubberised too. There's no camera button – the touchscreen takes care of that. The micro USB charging port lives behind a rubber flap, which is infuriatingly hard to move without the aid of nails. Thankfully the razor-like rim from the Pre has been dispensed of, which is likely to cut mobile related injuries in half. On the inside things are a little better, using a newer 600MHz Qualcomm processor (although not as powerful as the Cortex A8 used on the Pre Plus), which helps it to whip along with aplomb through most tasks. It's also got only half the RAM at 256 and half the storage at 8GB compared to 16GB on the Pre. The screen itself has the rather unusual resolution of 320 x 400 making it a little square, which isn't ideal with for watching video or surfing the web. It isn't as colourful and vibrant as the Pre Plus, which really leapt out at us, but we'll get into that in more detail later. In the box, we've got a micro USB charging cable and AC adapter add-on, as well as some half-decent headphones and a really ill-fitting pouch, but the box isn't packed with unnecessary junk, and any software you need can be downloaded on your PC.